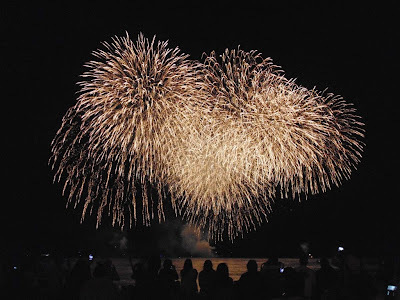 Here are some photos from the Nagaoka Fireworks show at the Honolulu Festival. 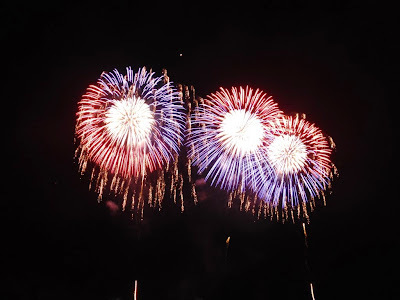 Each year this show is one of the best fireworks displays in the state. The huge blasts are launched off Waikiki Beach from five barges and are just a sight to see. Best of all the show is completely free just find a nice spot on the beach and enjoy. I’m always on the lookout for something native and colorful as they make the best photos. 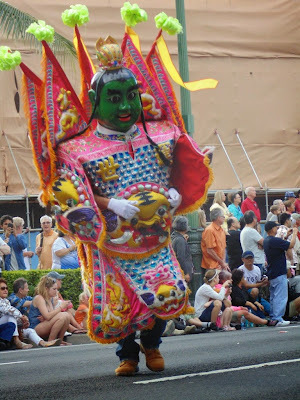 Here are some colorful costumes from the Hawaii Taiwanese Center. 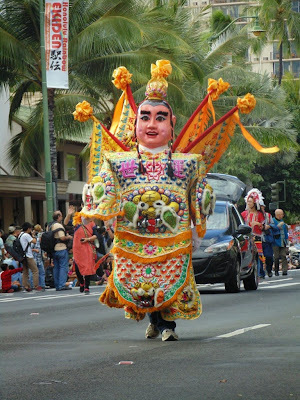 I like how intricate the costumes are and these performers ran up and down the street posing to the delight of the parade watchers. 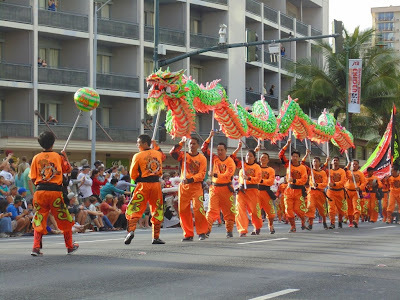 The Chinese Chamber of Commerce of Hawaii entertained us with this lion dance. 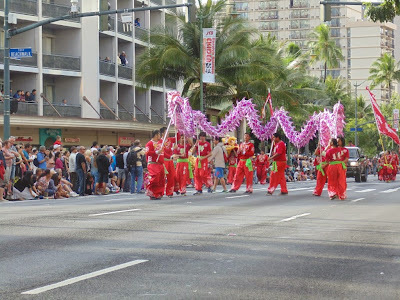 These two colored lions weaved up and down the street to cheers from the crowd in this colorful performance. I think the people manning the lion must have gone at leave five time as long as the parade with their graceful movement from side to side and front to back chasing the ball on the stick.